Mix goat cheese, thyme and garlic until blended. 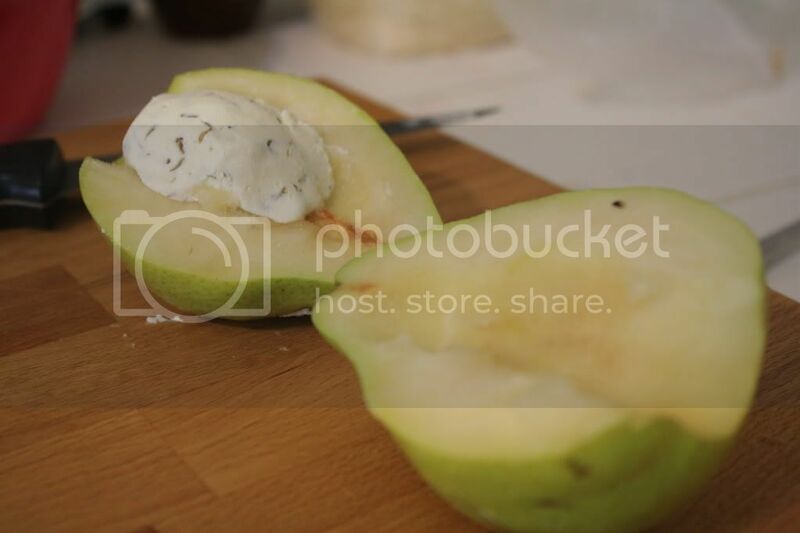 Place 1 rounded tablespoon of goat cheese mixture into center of each pear half. Puree chicken broth, figs, vinegar and sugar in batches in blender until smooth. Pour into strainer set over a bowl. Press liquid (sauce) into bowl and discard solids. Pour half of fig sauce into and 13x9x2 inch pan. Place chicken breasts over fig sauce in pan. Sprinkle with salt and pepper. 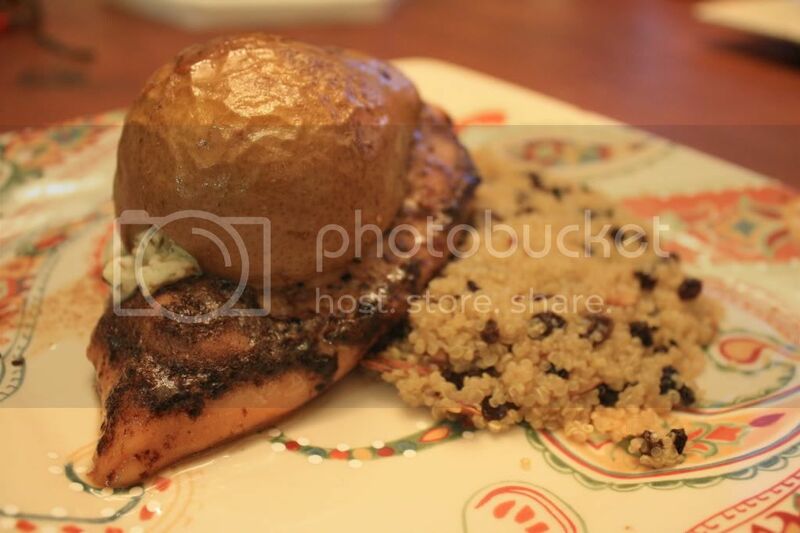 Place filled pear half cut side down over each chicen breast and drizzle with remaining fix sauce. Cover pan with foil and bake at 375 F for 20 minutes. 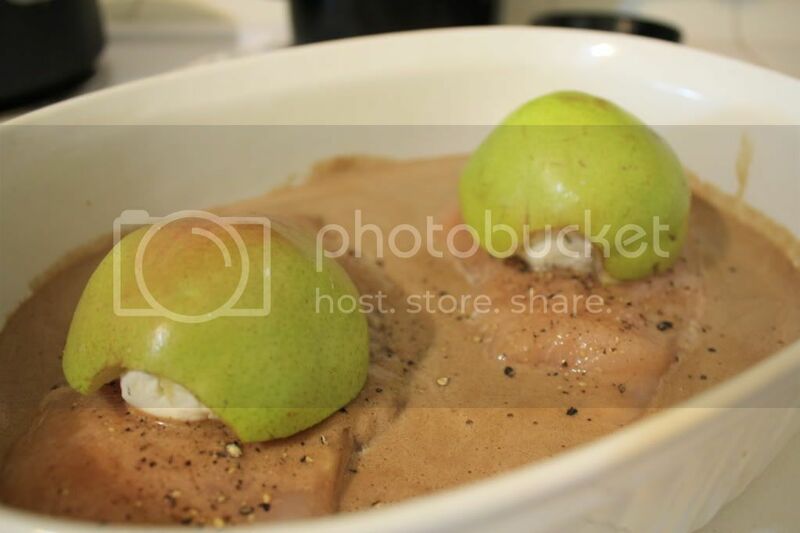 Remove foil and continue to bake, basting occasionally, 30 to 40 minutes until chicken breasts reach and internal temperature of 160 F. Spoon sauce over pears and enjoy! The quinoa is the same recipe that I used in this post. It is one of my favorites.